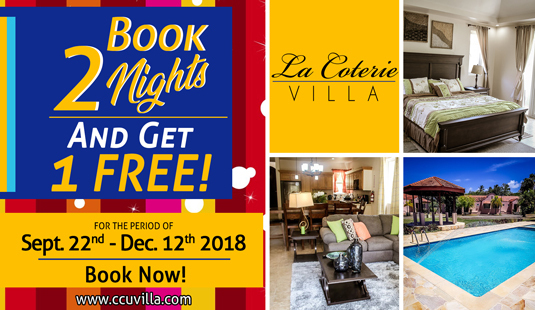 Availability & Rates - La Coterie Villa. Welcome to paradise. Minimum Stay is two  nights (Stays less than two nights will be considered on an individual basis). Note: Please do not disclose any additional personal or payment information in your message.